Blue Diamond may be a small place but it’s still a favorite tourist destination due to its proximity to amazing state parks. 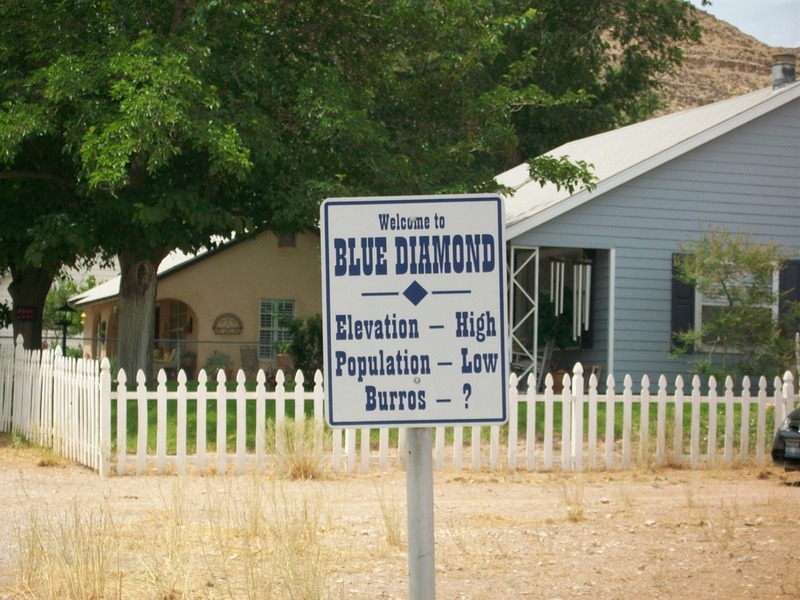 This means that it’s distinctly possible that if you and your group pass through the Blue Diamond area, one of you may get arrested for some crime. If that’s the case, you can always engage our Las Vegas bail bonds service to help you get out of jail. When someone is arrested, it doesn’t have to mean that the suspect must spend all their time in jail while their lawyer deals with the case and the trial ends. It’s possible for the suspect to get out of jail without spending too much time there, when they’re able to post bail. In some cases involving minor charges, the bail doesn’t amount to a lot of money so that you or your family can just pay the bail to get the defendant out of jail. When the defendant’s case is concluded and the defendant complies with the bail conditions the bail money is returned to the cosigner or the defendant. The problem is that often the bail amount can be exorbitant, and many families simply cannot pay the entire amount of bail up front. That doesn’t mean that the defendant has no other option but to remain in jail. Instead, the defendant or the defendant’s family can get a bail bonds service to help post the bail. Let’s assume that you have a close family member arrested in Blue Diamond. They’re then taken to the local jail while the police officers go through the entire booking process. The police will verify the identity of the suspect, get the suspect’s mug shot taken, and then they will be fingerprinted. This process may take as long as 2 to 5 hours, though in Blue Diamond it may not take all that long as it’s rarely busy. After that, there may be an interrogation, though it is best if the defendant simply asks for a lawyer. After the interrogation, the police officer in charge of the case may issue formal charges against the defendant. The defendant will then be sent to jail, unless bail is posted. After the booking process, the defendant may then find out the amount of bail required. This may be done through an arraignment hearing, during which you’re set in front a judge while the prosecutor and your lawyer argue about your bail amount. The judge hears all arguments to assess your likelihood as a flight risk. You may be released on your own recognizance or a bail amount may be set. This amount will depend on the seriousness of the charges and your past criminal record. If the judge feels that you’re too much of a flight risk or that you pose too much of a threat to others or yourself, bail may even be denied. If the charges are minor, there may be no need to appear in front of a judge to set the bail. Instead, there can be a predetermined bail schedule with a set bail amount for each type of charge. It’s important that if you have a family member arrested in Blue Diamond, you contact our office so that a bail agent can work on the case as quickly as possible. We can then gather the necessary information regarding the case of the defendant, starting with information regarding the defendant. We can then assess whether or not the defendant will comply with the court’s order or if they will try to flee the court’s jurisdiction. Once we determine that the defendant doesn’t pose a real risk of fleeing, we can provide assistance by writing the right type of bail bond to let the defendant go free. The cosigners and the defendants will then sign the bail bond contract and pay the state-mandated 15% of the bail amount, and the defendant will be released from jail. When the defendant signs the bail bond agreement, they swear to comply with all the regulations mentioned in the contract. These include appearing to all scheduled court hearings, and complying with all court orders. These orders may include having to attend some type of educational class, reporting to the bail agent on regular intervals, or obeying an order to stay away from the alleged victim of a crime. The cosigner also agrees to help make sure that the defendant stays within the courts’ jurisdiction, and that the defendant will comply with all court orders and attend all court hearings. If for any reason the cosigner feels that the defendant is planning to violate any of the court orders or is planning to flee, then the cosigner must inform the bail agent. The bail agent may then arrange for the defendant to be rearrested and sent back to jail. However, if the defendant flees the jurisdiction of the court, the cosigner will be liable to pay for the entire amount of the bail bond. This may result in the cosigner losing the title to their home because it has been signed as collateral for the bond. As one of the most experienced bail bond services in Blue Diamond, our company can provide the bail bond service you need to get your family member out of jail as quickly as possible. We are able 24 hours a day, 7 days a week. When you call our number, a qualified and experienced bail agent will take the call right there and then to start on your case. Our services are covered by the 15% fee, and we do not charge for “extra services” such as making house calls or going to the jail to help get the defendant released. We offer the utmost discretion, and we have your best interests in mind. We aim to be both courteous and honest when we deal with clients, and we answer each question fully and clearly. We may also speak harsh truths, so we may be honest if we feel that it may be in your family member’s best interest to remain in jail if they will be in danger out of jail. We will also tell you if we feel that the defendant is a definite flight risk, so that you won’t have to lose your home if you put it up as collateral for the entirety of the bail amount. Arrests can happen anywhere, and it’s certainly possible that a close family member may be arrested in Blue Diamond. If that happens, you can contact our office and we can work quickly to get your family member out of jail as soon as possible. In most cases a defendant is best outside of jail, so that they can work to help with their legal defense while they also work to help feed their family. This can be a truly tense moment for your family—but our job at Las Vegas Bail Bonds is to provide the peace of mind your family needs. That means answering all your questions about the bail bond process, and getting your loved one back to their family. It’s best for a family to be together during these difficult times, and we can help make sure that the family stays together as well.